At times it can be tedious, confusing and hard, so thankfully we don’t have to walk it alone. The great news is that when we belong to Christ, He not only promises never to leave us or forsake us, He also whispers directions so that we know the way to walk. (Heb. 13:5-6, Isaiah 30:21) These are lovely traveling provisions and there’s truly nothing more that we need. But to top it off beautifully as He usually does, God throws in the privilege of human traveling companions. That’s a wonderful and gracious gift. Yet not a gift to be received carelessly. You see, this gift of companions is potentially booby-trapped because we’re the ones who get to pick them. Friendship is a “choose your own adventure” situation and depending on what type of companions we choose, we experience vastly different journeys. Remember the “Choose your Own Adventure” books that flooded the youth literary scene in the early 1980’s? Unearth the mystical gemstone (Turn to page 22) and be transformed into the long foretold Queen of the Elves. Or pocket the sacred treasure (Turn to page 31) and fall through the trap door into a pit of snakes & trolls. Choose wise companions and reap the limitless delights of wise living. Or choose foolish companions and languish in the pit of draining conflict and harmful choices. Because our morals, habits, interests, speech, marriages, parenting, priorities and convictions are so strongly influenced by the friendships we keep, we must treat these relationships with great responsibility. And that responsibility is two-fold. First, after careful observation, we must intentionally pursue friendships with wise women who are walking in the God-honoring direction we desire to go. But that’s not all. 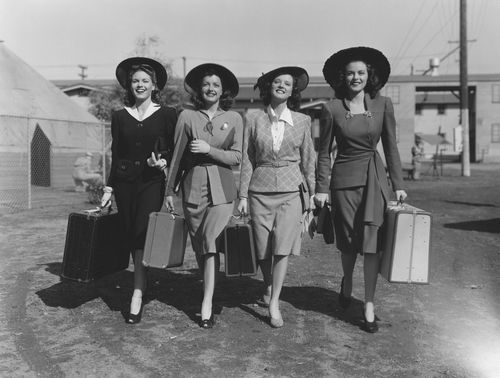 We also need to responsibly evaluate our own lives to ensure that we are not life-blood sucking, high maintenance, shallow, easily offended, temperamental, self-centered friends who send wise women running for cover. You see, just as God provides wisdom on what type of character to associate with for wisdom’s sake, He also provides ample instruction on what type of character to avoid because of its damaging influence. Therefore to succeed in friendship, we need instruction on both who to seek and who to be. To help in that venture, I’m inviting you to take the next eight weeks to explore the subject of friendship from a biblical perspective. We are going to combine the wisdom on friendships we find in Proverbs with the historical narrative that covers the friendship between David & Jonathon as chronicled in the Old Testament book of I Samuel. So if friendships matter to you and you desire to walk with the wise, consider this your invitation to join the adventure. Without the snakes & trolls. Even the smallest scratches, bumps, and scrapes can sometimes be traumatic for children. When simple injuries happen, God Bless My Boo Boo is like a warm hug that helps ease the pain. Comforting, sweet, and sometimes silly rhymes guide readers through adorable scenes of baby animals and their boo boos and remind children that God is there to help. 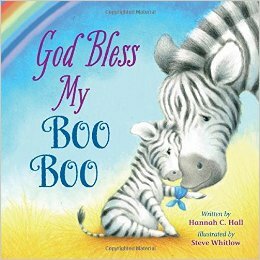 God Bless my Boo Boo is part of the bestselling “God Bless” Series by author Hannah C. Hall which includes God Bless You and Goodnight, God Bless Our Fall, God Bless Our Christmas and God Bless Our Easter. This feels as though you are speaking directly to me, Janet. I would LOVE to join this adventure. And about those Choose Your Own Adventure books….I hated them. They are an absolute nightmare when you are an indecisive person. Why should I have to pick the outcome?! I’m not the one writing the book! See. I’m still angry about it. And then looky here – you are writing books after all! Ah, the irony. Love your little Boo Boo book – came in this week. I’ll be sure to get a review on Amazon tonight! Shared the post! I thought about sharing it even before reading about the give-away! Hi Amy – Thanks for passing that series invite along! And by the way, you’ve won Hannah’s book, God Bless My Boo Boo. I don’t know if you’ve got little ones, but if not, it could make a great Christmas gift. Just send me your mailing address at contact@janetsurette.com and I’ll pop that in the mail. Thanks again!